Why Didn’t God Respect Cain’s Offering? Was it because of the type or quality of the offering, the heart of the offerer, or something else? What do you believe is the reason the Lord looked with favor on Abel and his offering, but on Cain and his offering he did not look with favor ( Genesis 4:4 )? Was it because of the TYPE of offering (blood vs fruits, ref Hebrews 9:22 )? It’s reasonable and logical to think they must have had some instruction in how to make offerings to the Lord. Although my understanding is that the word translated offering is different than the word translated as sacrifice, so the issue of blood sacrifice may not apply? Also, throughout Leviticus many different types of offerings are described, including grain offerings. Was it because of the QUALITY of the offering? “some of the fruits” vs “fat portions from some of the firstborn”? Or do you believe all of these reasons are applicable? Thank you for the excellent question (and analysis), P.D. You’ve laid the groundwork for our answer by sticking to Scripture—exactly what we advocate. 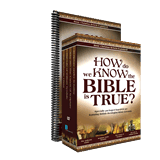 The Bible itself is the number one resource for interpreting itself! Elsewhere we read, “By faith Abel offered to God a more excellent sacrifice than Cain” ( Hebrews 11:4 ) and “[W]e should love one another, not as Cain who was of the wicked one and murdered his brother. And why did he murder him? Because his works were evil and his brother’s righteous” ( 1 John 3:11–12 ). On the other hand, Jesus called Abel righteous ( Matthew 23:35 / Luke 11:51 ), and Charles Spurgeon considered Abel a type of Christ. You identify three possible reasons why God may have “respected” Abel’s offering but not Cain’s: the difference in the type of offering; the difference in the quality of offering; or the difference in the heart of the offerer. Or, you suggest it may be a combination of those three reasons. The Bible does not actually say specifically whether such sacrifices had been commanded by God, or whether the practice arose merely as a spontaneous expression of thanksgiving and worship. If it was the latter, however, it is difficult to understand why God would not have been as pleased with an offering of Cain’s fruits as with an offering of Abel’s slain lamb. It seems more likely that God did give instructions, and that Cain had disobeyed. The entire occurrence can only be really understood in the context of an original revelation by God regarding the necessity of substitutionary sacrifice as a prerequisite to approaching God. Such revelation was most likely given at the time God provided coats of skins for Adam and Eve, and then banished them from his presence, providing, however, a specific means by which they could still commune with Him at certain times, on the basis of a similar sacrifice. At any rate, his heart was not right before the Lord, and his offering was not in faith as was his brother’s. Therefore, God rejected his gift. –Henry M. Morris, The Genesis Record: A scientific & devotional commentary on the book of beginnings (Grand Rapids, Michigan: Baker Book House, 1976), 136–137. Let’s look at each of these possibilities in turn; then we’ll take a look at the ultimate answer as to why God respected Abel’s offering and not Cain’s. Is it possible that Cain’s offering was the wrong type? Hebrews 9:22 (which you reference), Leviticus 4:25–26 , and Leviticus 17:11 all clearly state the connection between the shedding of blood and the atonement of sin. God established a precedent, of sorts, with a blood sacrifice in Genesis 3:21 , when He killed an animal to make a literal and figurative covering for Adam and Eve. This foreshadowed the blood sacrifices that were later delineated in Levitical Law and ultimately Jesus Christ as the only blood sacrifice that could truly atone for our sin. The law given to Moses codifies the role of blood, connecting specific transgressions with specific sacrificial offerings. So it is very clear that a blood sacrifice has a special significance beyond what a fruit, vegetable, or grain offering could bring.1 (The Hebrew word used for “offering” in Genesis 4:3 , minchah, can also be translated “sacrifice” or “meat offering” according to Brown–Driver–Briggs, and is used elsewhere to refer to meat offerings [e.g., Leviticus 7:37; 14:21; 23:18 ]). Nevertheless, it’s only circumstantial evidence that supports this as the reason God didn’t respect Cain’s offering. While it seems reasonable to conclude—as Henry Morris did (see sidebar, right)—that the difference in the type of offering was a contributing factor, there’s no verse that says, “God rejected Cain’s offering because it wasn’t meaty enough.” And while it is a “reasonable and logical” extrapolation, as you put it, to think Cain and Abel were given offering instructions (either directly or through their parents), it’s nonetheless an extrapolation; Scripture never says that God had required them to sacrifice, nor (if He had) that He specified the type of sacrifice.2 It is also worth noting that the passage does not indicate that Cain was presenting a sin offering to the Lord. If we assume that the offering was for the covering of sin, then a blood sacrifice is consistent with the rest of Scripture. Was Cain’s offering rejected because it was not of superior quality? This does seem to be an implication of the passage itself, since it explicitly states that Abel offered “of the firstborn of his flock and of their fat,” while saying nothing about the quality of Cain’s offering. Not only that, but the law given to Moses specifically requires the sacrifice (or redemption) of the firstborn of livestock ( Exodus 13:2, 34:19 ) and specifies the inclusion and significance of the fat ( Leviticus 3:9–10, 16; 4:19–20, 25–26 ). Later in Levitical Law, we see that God required firstfruits in grain offering as well ( Leviticus 2:14 ). The details of Abel’s offering are more circumstantial evidence that indicate Cain and Abel may have been given instructions about their offerings—instructions Cain ignored. That, along with the fact that Scripture praises Abel for offering “of the firstborn of his flock and of their fat,” seems to support the argument that Cain’s offering was rejected at least partly because of its lower quality—even if God hadn’t required a sacrifice of meat. But once again, Scripture never makes the connection explicit, so this explanation remains speculative—albeit backed by more circumstantial evidence and reasonable assumptions based on Scripture. It’s important for us to keep both verses in mind: not only was Abel’s offering more excellent and offered by faith; the Bible also tells us Cain’s works were evil. This begs the question: which of Cain’s works were evil? Obviously his murder of his brother was, but Scripture says evil works preceded the murder, so it must be talking about other evil works. What could they have been? Perhaps Cain had committed evil before the sacrifice of Genesis 4. In this case, Cain could have had an unrepentant heart, and God may have rejected the sacrifice because of Cain’s unrepentant attitude. Cain’s “evil” could have been his sinful attitude; although this does not seem to fit as an actual “work” of evil. Or, the “evil works” could refer to Cain’s offering itself. This would imply that Cain did, in fact, violate instructions God had given (but that aren’t listed in Genesis) for what type/quality of offerings to give. Additionally, there is the very important issue of Cain’s reaction. It could have been that God hadn’t given specific instructions for sacrifices, and thus that Cain legitimately didn’t realize his offering was inferior in type or quality.3 But if so, when God convicted him, Cain was defiant. The Bible says “And Cain was very angry, and his countenance fell. So the Lord said to Cain, ‘Why are you angry? And why has your countenance fallen? If you do well, will you not be accepted? And if you do not do well, sin lies at the door. And its desire is for you, but you should rule over it’” ( Genesis 4:5b–7 ). God provided a “way out,” but Cain, in his pride and stubbornness, allowed sin to rule over him—ultimately driving him to commit the first murder. He (as we all) are responsible for our response to be repentant when being confronted with our wrongdoing. Cain was anything but repentant. He wanted to make the rules, and he didn’t want to change his ways. Compounding this is that Hebrews 11:4 can be read/interpreted in two different ways: was Abel’s sacrifice “more excellent” solely because it was offered by faith, or was it one of the other reasons previously discussed? We don’t absolutely know that God required a blood sacrifice of Cain. Can we even be clear that either Cain or Abel knew exactly what would be pleasing to God as a sacrifice ahead of time? Even with all this circumstantial evidence, we don’t absolutely know that God required a blood sacrifice of Cain. We can’t say for certain that the quality of Cain’s offering was inferior. And we can’t prove Cain’s heart was in the wrong during the sacrifice itself. Although the scriptural account does seem to point to each of these reasons, we can’t be emphatic about any of them. So, what’s the ultimate answer to God preferring Abel’s offering? We must come to grips with one thing: God, as Creator, is sovereign over His creation. While there are proximate reasons for God’s decrees, what ultimately makes “right” right and “wrong” wrong? God’s sovereign choice. This does not mean God is capricious or arbitrary; God is always reasonable because He is the creator of reason. If God’s actions seem to conflict with or transcend man’s sense of “reason,” that doesn’t mean God is wrong; it means His thoughts are not our thoughts, and His ways are not our ways ( Isaiah 55:8 ). He respects one offering and rejects another, ultimately, for His own reasons and pleasure—and isn’t that the Creator’s prerogative? Again, this isn’t to say He is arbitrary; His Word gives us all the knowledge of Him and the reasoning we need to understand and obey. 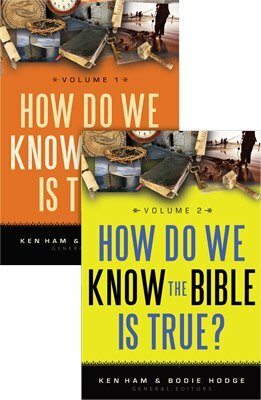 And since the Bible doesn’t tell us exactly what was required of Cain and Abel (like we see clearly expressed in the Levitical laws), we can’t know for sure which of the reasons explain why God respected Abel’s offering and not Cain’s, or if this was just God’s way of informing them of what was acceptable. But, ultimately, does it matter? As Abraham rhetorically asks in Genesis 18:25 , “Shall not the Judge of all the earth do right?” And as God rhetorically asks Job, “Would you indeed annul My judgment? Would you condemn Me that you may be justified?” ( Job 40:8 ). Our duty is to make sure that our actions are right and that our hearts are in the right place. In the case of offerings, that includes humbly giving from the firstfruits (does God deserve any less?) of our labor with a cheerful heart, understanding that such works themselves do not save us, and gladly accepting instruction, correction, and even rebuke from the hand of the Almighty. The lesson of Cain is that sin and rebellion runs through our attitudes and our actions, and that the two ultimately cannot be divorced. Finally, P.D., thank you for remembering to start with Scripture when interpreting Scripture. That’s always the right answer! However, the law does incorporate grain offerings ( Leviticus 2:1–2 ) and even makes exceptions to animal offerings in the case of poverty (e.g., Leviticus 5:11 ). This is a good example of God’s mercy even amid His justice. In Cain’s Offering, David Reagan uses Romans 10:17 to add further strength to the argument that Cain and Abel had been given explicit sacrificial instructions. It is possible to do the wrong thing with the right attitude.